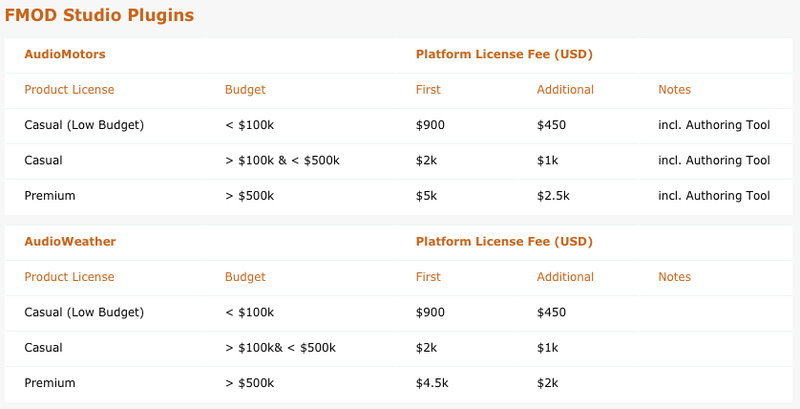 AudioGaming's sound synthesis technologies are available for game audio licensing. The signal processing libraries have been ported for both game consoles (PS4, XBox One) and portable devices (Android, iOS). Game designers get high level control and sound designers / programmers get expert control on the generated audio. 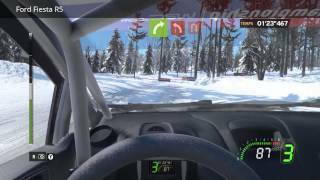 Here is a tutorial for using AudioMotors Authoring Tools with AudioMotors FMOD plugin. 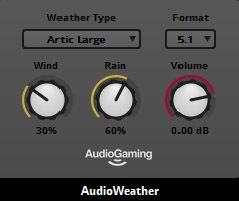 AudioGaming introduces the first procedural audio for video games weather system. Based on specific acoustic modelling we produce realistic as well as unrealistic sound effects computed in real time. The provided presets cover a wide range of soundscapes and the simplified controls of wind and rain can be easily shaped for instant promising results. 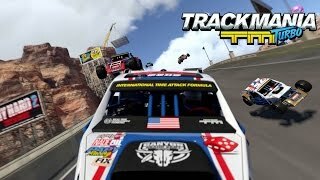 AudioGaming is an official 3rd party developer for FMOD Studio. 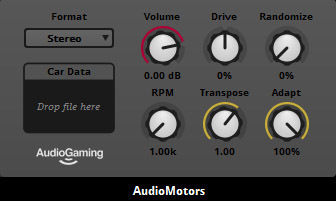 Both AudioWeather and AudioMotors are tightly integrated into FMOD Studio as plugins.